Dror is Chief Product Officer & Co-Founder at Kasisto, creators of KAI Banking, the leading conversational AI platform for the finance industry. Kasisto counts DBS Bank, JP Morgan, Mastercard, Standard Chartered, TD Bank, and Wells Fargo among its customers as well as other leading financial institutions who are changing the face of banking with KAI to create engaging consumer experiences and drive business results. In 2013, Dror co-founded Kasisto, a spin-out of SRI International, world-renown research center with decades of innovation creating new industries and billions of dollars in market value – including the discovery and design of ground-breaking products, technologies and industries – from Siri and online banking to medical ultrasound, cancer treatments and much more. He has over 10 years of experience in software engineering, marketing, and product management. 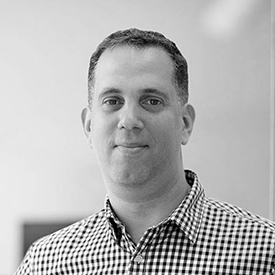 Prior to Kasisto, Dror was an executive director in the SRI Ventures team at SRI International, where he focused on commercializing Artificial Intelligent technologies and spinning out companies such as Tempo.ai (acquired by Salesforce) and Desti (acquired by Nokia). Before that, he held product roles at NICE Systems and VMWare.